Free ebook download sites: – They say that books are one’s best friend, and with one in their hand they become oblivious to the world. While With advancement in technology we are slowly doing away with the need of a paperback and entering the world of eBooks. Yes, many may argue on the tradition of reading books made of paper, the real feel of it or the unusual smell of the books that make us nostalgic, but the fact is that with the evolution of eBooks we are also saving some trees. For all the Amazon Kindle users, the Amazon features a library with a free section that offers top free books for download. Log into your Amazon account in your Kindle device, select your favorite pick by author, name or genre and download the book which is pretty quick. From science fiction, romance, classics to thrillers there is a lot more to explore on Amazon. The best part is that while you can browse through new books according to your choice, you can also read user reviews before you download a book. As archive means, you can retrieve books from the Internet Archive that are no longer available elsewhere. This is a not for profit online library that allows you to download free eBooks from its online library. It is basically a search engine for that lets you search from more than 466 billion pages on the internet for the obsolete books for free, especially for historical and academic books. Get free eBooks for your eBook reader, PDA or iPOD from a collection of over 33,000 books with ManyBooks. It features an eye-catching front page that lets you browse through books by authors, recent reviews, languages, titles and more. Not only that you have a lot of free stuff to choose from, but the eBooks can be read on most of the reading platforms like, eReaders. Kindle, iPads, and Nooks. LibGen is a unique concept in the category of eBooks, as this Russia based website is actually a search engine that helps you download books and articles related to science. It allows you to download paywalled content for free including PDF downloads for the stuff on Elsevier’s Science Direct website. Even though the site continues to face legal issues due to the pirated access provided to books and articles, the site is still functional through various domains. If you are admirer for books, FreeBookSpot can be just the right solution to your needs. You can search through their vast online collection of free eBooks that feature around 5ooo free eBooks. There are a whopping 96 categories to choose from that occupy a space of 71.91GB. The best part is that it does not need you to register and lets you download hundreds of free eBooks related to fiction, science, engineering and many more. If you keep a track of books by new authors and love to read them, Free eBooks is the perfect platform for you. From self-help or business growth to fiction the site offers a wide range of eBooks from independent writers. You have a long list of category to choose from that includes health, humor, fiction, drama, romance, business and many more. You can also choose from the featured eBooks, check the Top10 list, latest arrivals or latest audio books. You simply need to register and activate your free account, browse through the categories or search for eBooks in the search bar, select the TXT or PDF as preferred format and enjoy your free read. 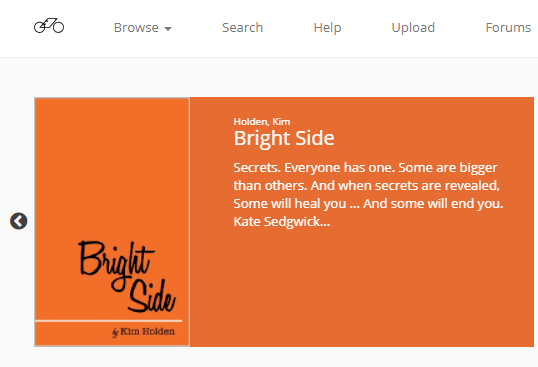 LibriVox is a unique platform, where you can rather download free audiobooks. The audiobooks are read by volunteers from all over the world and are free to listen on your mobile device, iPODs, computers and can be even burnt into a CD. The collections also include classic literature and books that are obsolete. If you are a book buff and are looking for legal material to read, GetFreeEBooks is the right destination for you. 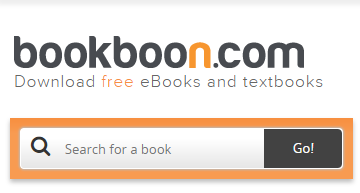 It gives you access to its large database of free eBooks that range from education & learning, computers & internet, business and fiction to novels and much more. That’s not all as you can read a lot of related articles on the website as well. FreeComputerBooks goes by its name and offers a wide range of eBooks related to Computer, Lecture Notes, Mathematics, Programming, Tutorials and Technical books, and all for free! The site features 12 main categories and more than 150 sub-categories, and they are all well-organized so that you can access the required stuff easily. So, if you are a computer geek FreeComputerBooks can be one of your best options. Baen is an online platform for you to read your favorite eBooks with a secton consisting of limited amount of free books to download. Even though small the free section features an impressive range of fiction and non-fiction. So, to download eBokks you simply need to browse through the list of books, select the one of your choice and convert them into MOBI, RTF, EPUB and other reading formats. However, since it gets downloaded in a zip file you need a special app or use your computer to unzip the zip folder. 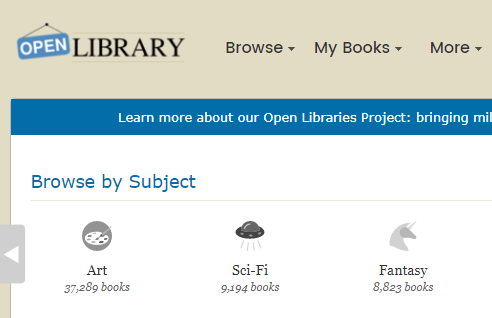 OpenLibrary is a not for profit and an open source website that allows to get access to obsolete books from the internet archive and even get information on nearly any book that has been written. It is sort of a Wikipedia that will at least provide you with references related to the book you are looking for like, where you can get the book online or offline, even if it doesn’t store itself. Therefore, if you know a book that’s not listed you can simply add the information on the site. Open Culture is best suited for students who are looking for eBooks related to their course. The site offers more than 800 free eBooks for students and it also features the classic fiction books by famous authors like, William Shakespear, Stefen Zwaig, etc. that gives them an edge on literature. Created by real editors, the category list is frequently updated. OnlineProgrammingBooks feature information on free computer books, online books, eBooks and sample chapters of Computer Science, Marketing, Math, Information Technology, Science, Business, Physics and Internet. These books are provided by authors and publishers. It is a simple website with a well-arranged layout and tons of categories to choose from. If you are not a bittorrent person, you can hunt for your favorite reads at the SnipFiles that features free and legal eBooks and softwares presented or acquired by resale, master rights or PLR on their web page. You also have access to numerous screensavers for free. The categories are simple and the layout is straightforward, so it is a much easier platform to navigate. If you are looking for Indie books, Bibliotastic provides you just that for free. This platform is for Indio authors and they publish modern books. Though they are not so known publicly, the books range from romance, historical or mystery to science fiction that can be of your interest. The books are available to read online for free, however, you need to create an account with Bibliotastic in order to download a book. The site they say will be closed by the end of June 2016, so grab your favorite books as soon as possible. If you have an internet connection, simply go to BookYards and download educational documents, eBooks, information and content that is freely available to all. The web page is pretty simple where you can either publish books, download eBooks based on authors/categories or share links for free. You also have the option to donate, download the iBook app and visit the educational links. FeedBooks provides you with public domain books that feature popular classic novels by famous authors like, Agatha Christie, and Arthur Conan Doyle. The site allows you to download texts almost in all major formats such as, EPUB, MOBI and PDF. The site does not require you to register and hence, you can download books directly from the categories mentioned on the left menu. The best part is that FeedBooks is a fast website and easy to navigate. The Online Books Page features a vast range of books with a listing of over 30,000 eBooks available to download for free. The website is extremely easy to understand and navigate with 5 major categories and the relevant sub-categories. 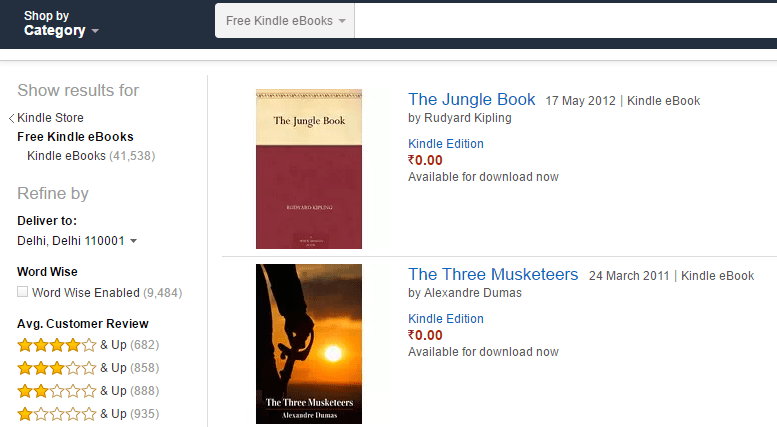 To download books you can search by new listings, authors, titles, subjects or serials. On the other hand, you can also browse through news, features, archives & indexes and the inside story for information. eBookLobby is a free source of eBooks from different categories like, computer, arts, education and business. There are several sub-categories to choose from which allows you to download from the tons of books that they feature. You can also look at their Top10 eBooks collection that makes it easier for you to choose. Myanonamouse is a private bit torrent tracker that needs you to register with your email id to get access to its database. It is a comparatively easier to get into website with easy uploading of books. It features over 2million torrents and is a free for all platform with access to its huge database of free eBooks. Better known for audio books, Myanonamouse has a larger and friendly community with some strict rules. AvaxHome is a pretty simple site that provides access to tons of free eBooks online under different categories. It is believed to be one of the major non-torrent file sharing sites that features an eBooks&eLearning section among many other categories. It features a massive database of free eBooks collated from across the world. Since there are thousands of pages, you need to be very well versed with the site to get the exact content you are looking for. Established in 1978, O’Reilly Media is a world renowned platform to download books, magazines and tutorials for free. Even though they started with print publications, they are now famous for digital books. The website features a massive collection of eBooks in categories like, IT industry, computers, technology, etc. You can download the books in PDF format, however, to get an access to the free downloads you need to sign up with your name and email address. is AvaxHome free?I don’t think so. You need to do more homework to make your site more informative eg give restrictions that apply to some sites.